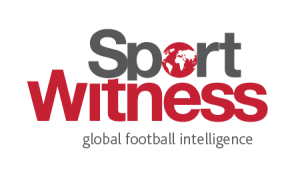 On January 17th, Sport Witness reported that West Ham United’s interest in Maxi Gomez of Celta Vigo is genuine and the London based club were told to fork out €50m for transfer. No deal took shape in the winter transfer market and after having scored 28 goals and registered nine assists since arriving in the La Liga from Uruguay in 2017, the striker has been on the radar of several clubs. Two days ago, the 22-year-old told El Desmarque that he doesn’t know if he will be staying or leaving his current employer. It’s no surprise that Gomez’s performance and recent comments will draw attention from other clubs. 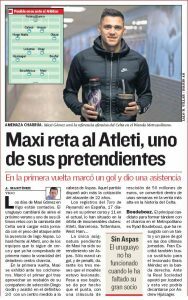 Friday’s edition of Spanish newspaper AS once again talks about Manuel Pellegrini’s side chasing the attacker as he is in the ‘orbit’ of the Hammers, along with Tottenham Hotspur, Barcelona and Atletico Madrid. Even though the South American admitted he is unaware of his future beyond this campaign, the report claims Gomez’s days at Celta are ‘numbered’ and with a release clause of €50m, he is set to become his club’s record transfer sale. Last month, Mundo Deportivo reported Gomez is ‘not good enough’ to join the Catalan club and recent reports don’t mention him as a main target for Ernesto Valverde’s side. At Tottenham, Harry Kane is the first choice striker and it is unlikely Gomez can displace the England international in Spurs’ starting XI. This could leave West Ham fighting with Atletico for Gomez’s signature in the summer.